Leon a native of Pendleton, has lived in the Oconee County area for the past 15 years giving him the knowledge/expertise of our area that all clients desire in an agent. 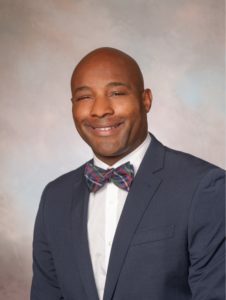 He is a 2008 graduate of Clemson University with a degree in Elementary Education and spent 10 years teaching at Ravenel Elementary in the Oconee County School District. His time spent teaching, and knowledge of our area, prepared him for his Real Estate Career with helping buyers and sellers find the perfect property to call home. Leon is married to his beautiful wife Kinsey and are raising 3 children together…Alyssa, LJ and Nora. In his spare time, Leon enjoys adventures with his family. Clemson sporting events and DJ’ing special events! His work ethic is unparalleled and shows every day with his honest approach in every aspect of life. He is passionate about his career in Real Estate and guarantees that it will show to all his clients during the listing/buying process. Leon looks forward to working with you and placing you into the perfect property that fits your needs.